JKSSB Provisional Shortlists of General Teacher School Education Department. 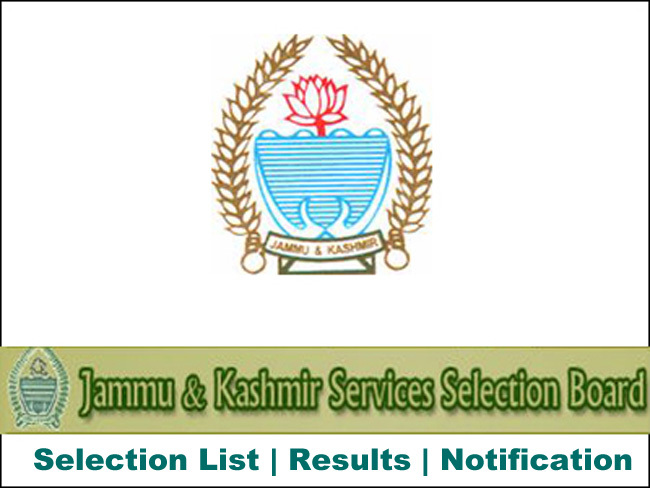 JKSSB Latest Notification of selection list General line Teacher list 2018 result is out on official website jkssb.nic.in . Direct link is given below. JKSSB Teacher Result 2018 is out now! Get Complete Result Updates, Expected Result Date, Provisional Shortlist and Documents Needed here. Whereas the JKSSB conducted OMR Based Written Tests on 13th, 20th and 27th May, 2018 for the posts of General Teacher (School Education Department), advertised Vide Notification No 06/2017(Various District Cadres). Provisional Shortlists for the posts of General Teacher (School Education Department), Advertised Vide Notification No. 06/2017(Various District Cadres), for counseling and document verification. 1. Whereas the JKSSB conducted OMR Based Written Tests on 13th, 20th and 27th May, 2018 for the posts of General Teacher (School Education Department), advertised Vide Notification No 06/2017(Various District Cadres). 4. Whereas the candidates figuring in these provisional lists are required to appear for counselling and document verification as per the dates and venue shown against each at Central Office, J&K Services Selection Board, Zum Zum Buidling, Rambagh Srinagar at 10.30 am and Camp Office, J&K Services Selection Board, Panama Chowk, Jammu at 08.30 am. Copy of Online Application form. Reservation category certificate, if applicable. Discharge certificate in case of Ex-serviceman category. Other documents as per the advertisement. 6. Whereas the candidates are required to produce Online Application Form as well as original documents together with a self-attested photocopy of each document/ certificate/bonafide on the day of counselling and document verification. 7. Whereas, any candidate who remains absent on the day of counselling and document verification shall forfeit his/her right to selection without any further notice. 8. Whereas the final select list shall be issued only out of the shortlisted candidates on the basis of merit, relevance of the prescribed qualifications, category certificate and other relevant documents, after the documents verification. 9. Whereas some candidates are figuring in reserve categories, based on the details they have incorporated in their data i.e online application form. Their respective claims on this account are further subject to production of valid reserve category certificate during the process of counseling and document verification, in addition to the normal process of verification indicated at para 05. Now, therefore, the schedule of Counselling and Documents Verification is hereby notified/published for information of shortlisted candidates as Annexure “A” to this notice. A link for showing the marks of all candidates is available at our website.